At BlackBerry World this week, RIM began giving prototype BlackBerry 10 phones to developers. The prototype, known as BlackBerry 10 Dev Alpha is an effort by RIM to drive developer interest in its upcoming BlackBerry 10 mobile operating system with the hopes of building an app catalog for the platform before it launches the first BlackBerry 10 phones later this year. While that’s a laudable and important idea, the handsets RIM delivered are lacking critical features like the ability to make calls or connect to wireless networks. RIM even pointed out that the actual user interface for BlackBerry 10 isn’t even running on the Dev Alpha devices because the company hasn’t finalized what that interface will look like. Alec Saunders, the company’s vice president of developer relations acknowledged to the New York Times this morning that the device and experience is “very, very stripped down” but defended the company’s decision because of the need to recruit developers so that the company will have apps to launch with the platform later this year. Saunders, who recently got into a public spat with a developer that decided to stop supporting the BlackBerry platform, acknowledged that RIMs actions where “unprecedented” for the company and “uncommon” for the industry. It’s hard to swallow that this is unprecedented – RIM released the PlayBook with essentially a beta release of its operating system last year and its first touchscreen product the much-maligned BlackBerry Storm were plagued with issues that should’ve been ironed out early in the development cycle. Saunders was, however, correct in that RIM needs a vibrant collection of developers and apps – and it needs them quickly. If we launch without applications, well, it will be slow. That’s probably the understatement of the year. Compared to Apple’s App Store and Google Play, any platform where the number of apps is less than six figures is going to seem paltry. How effectively developers can create software with such a bare bones device and without knowing what the ultimate user interface for BlackBerry 10 is a big question and one that could foretell the end of the company. 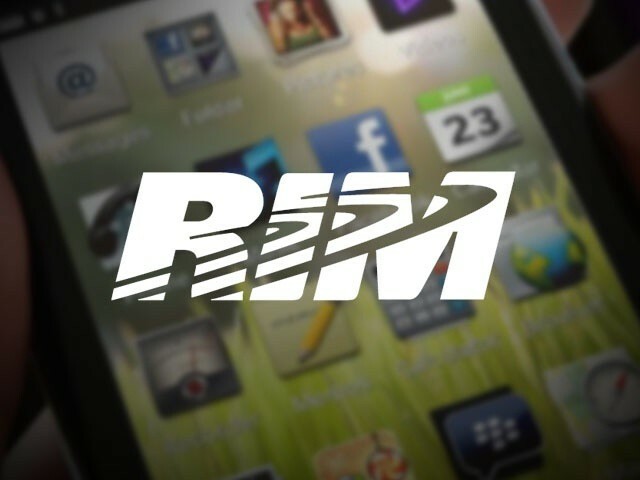 RIM seems to have taken some notes from other mobile platforms and is clearly trying to play catch up. The problem is that it’s heading into a crowded market with a new OS and without the guaranteed place in government and enterprise customers that it had previously enjoyed. If RIM launches without a good app selection and, more importantly, if the first BlackBerry 10 devices aren’t fully polished (meaning nothing feels like a beta), then the company probably won’t be able to recover.